There are endless amounts of art to see in Paris (OK Juliette, state the obvious) and Museum d'Orsay is loaded. The building alone is a historical work of art as it was originally used for the Orsay railway station back in 1900. 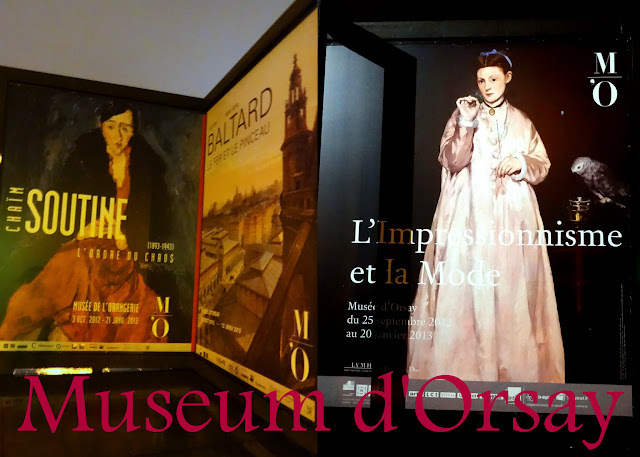 Museum d'Orsay has a wonderful display of artwork by Manet, Degas, Monet, Renoir, Van Gogh, Gauguim, Courbet, Carpeaux, Rodin, and Maillol, just to name a few. One of my favorite picture's that I brought back from Paris is Le lit, by Henri De Toulouse-Lautrec. I just love the simplicity of being snuggled in bed with the one you love.